Why buy greasy, cheap breakfast sandwiches at fast food joints when you can make them yourself at home? Starting with homemade buttermilk biscuits and finishing with your favorite toppings, these breakfast sandwiches not only taste better, but they are also better for you. 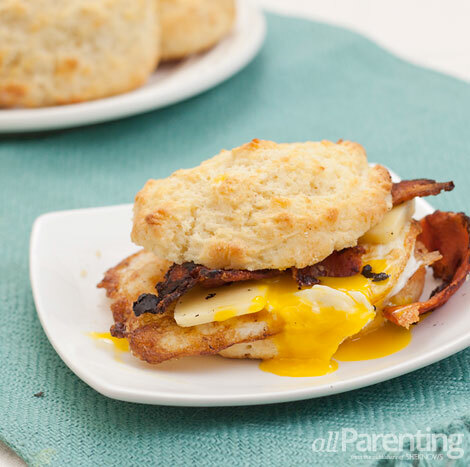 Whether enjoying for breakfast or dinner, these breakfast sandwiches will please the whole family. If needed, the homemade buttermilk biscuits can be made ahead of time. When it's time to serve, provide a variety of toppings so everyone can build their own breakfast sandwich and your meal is complete. Sift flour into a medium bowl. Add sugar, baking powder, baking soda and salt. Stir to combine. Add the cold butter pieces and blend together with your fingertips until the mixture resembles coarse crumbs. Add the buttermilk and stir with a fork until the dough forms, it will be moist. Transfer the dough to a well-floured surface and gently knead 5 or 6 times with floured hands. Roll the dough into a log about 8 inches long and cut into 6 equal pieces. Gently press down each dough circle to flatten them out a little bit. Transfer the biscuits to an ungreased baking sheet. 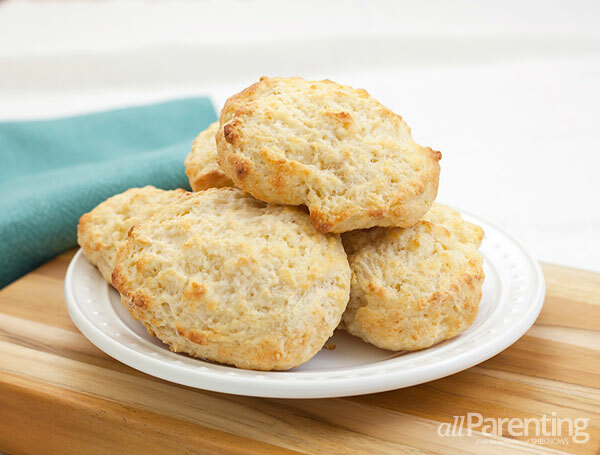 Brush the tops of the biscuits with milk and bake for 12 to 15 minutes, or until they are a light golden brown color. Once done, remove from the oven and let cool for a few minutes before transferring to a wire rack to continue cooling. Additional toppings include bacon, ham, cheese, tomatoes, avocado, etc. Cut the buttermilk biscuits in half and set the tops aside. Place the fried egg or some of the scrambled eggs on the biscuit bottom. Top with cheese, meat and produce of your choice. Place the lid on the top of the breakfast sandwich and enjoy!